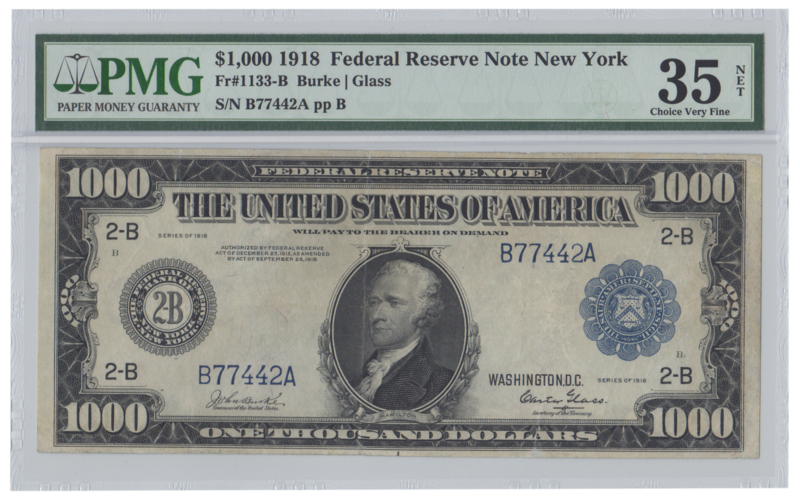 This is a very solid and clean looking 1918 $1000 federal reserve note from the New York district. This and the 1907/1922 gold certificates are the only large size one thousand dollar banknotes that can be purchased for less than $100,000. If you have been in the market for one then this high grade VF would be a great option. These are usually much more expensive in a dealer's case than at auction. 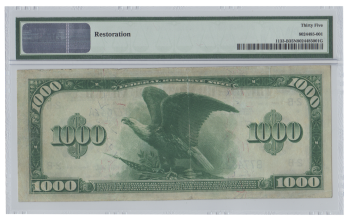 Like most notes from this series, the example here has some moderate restoration.